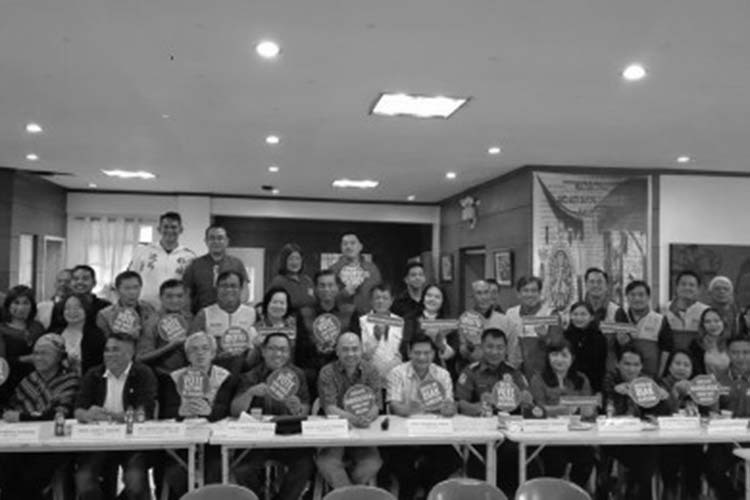 BAGUIO CITY — Various stakeholders in this city, led by the Commission on Elections (Comelec) Baguio, joined together on Thursday to campaign for a “vote-buying” and “vote-selling” free mid-term polls in May with the signing of a memorandum of understanding (MOU). “This is the first time that the Comelec has initiated the multi-sectoral anti-vote buying campaign in the city. This campaign aims to generate awareness and encourage voters to actively campaign against vote-buying and to report any election-related anomalies,” Comelec Baguio election officer lawyer John Paul Martin said in an interview. During the launching at the University of the Philippines-Baguio, Martin said the crusade aims to protect the electorate from being part of vote-buying, vote-selling, and other unscrupulous practices during elections. The campaign is supported by the Department of Justice (DOJ), Department of Education, Department of the Interior and Local Government, Baguio City Police Office (BCPO), Integrated Bar of the Philippines (IBP), Sangguniang Kabataan, various religious denominations, student organizations, civil society organizations and the candidates for different elective positions. During the launch, an MOU was signed by the different sectors committed to maintain clean and credible elections and let the people exercise their freedom of choice. “We want voters to choose freely, in the absence of any violence, threats and intimidation. Removing all undue advantage of those who have more resources, give voters more options to choose from,” he said. Martin said there are two aspects of the campaign –voters’ education and legal assistance. During the voters’ education phase, he said Comelec Baguio will brief stakeholders on how to conduct voter education drive. For legal assistance, the poll body, through its law department, will draft a pro-forma complaint sheet and other documents to simplify the filing of complaints on vote-buying, Martin said. He said Comelec-Baguio coordinated with DOJ, BCPO and the IBP to develop a simplified procedure for the arrest and prosecution of vote-buying offenders. “Kung bibigyan kita ng candy at ako ay isang kandidato (If I will be giving you a candy, and I am a candidate), definitely that is vote buying,” Martin said. He added that candidates giving food and non-food items during the campaign period are considered violations under the election code. “Regardless of the value of that commodity, if it’s given in consideration of your election that is definitely considered as vote buying,” he said.